The proposed route will cut an hour-long trip down to just six minutes. According to an announcement made earlier today, the Andhra Pradesh Economic Development Board (APEDB) has signed a memorandum of understanding with Hyperloop Transportation Technologies (HTT) to bring the futuristic transport pods to the Indian state. The deal took months to iron out, as India has supposedly been in talks with HTT since December of last year. HTT’s hyperloop transportation system in Andhra Pradesh is the first planned route in India. 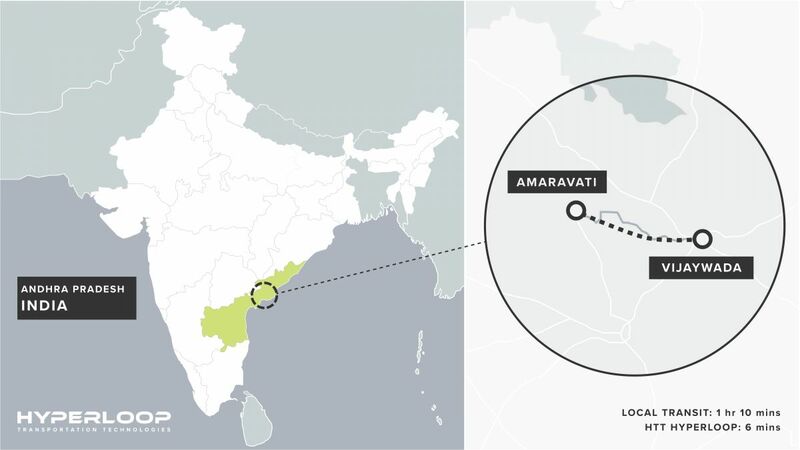 It is designed to connect the cities of Amaravati and Vijaywada, cutting a trip of more than one hour down to just six minutes. Funding for its construction will come primarily from private investors. The agreement involves a two-phase plan. The first phase is a feasibility study set to begin in October, which could last for six months. Phase two would be the actual construction of the hyperloop, which HTT says would bring 2,500 jobs to the Indian state. Aside from this almost immediate economic benefit, the more efficient transportation of a hyperloop system could fuel the IT industry in Andhra Pradesh, according to Nara Lokesh, Cabinet Minister for Information Technology, Panchayati Raj, and Rural Development for the State of Andhra Pradesh. “The hyperloop will give rise to development of various state-of-the-art technology parks and software clusters in Amaravati, helping to fortify the city’s image as a world class leader in science and technology,” she explained. 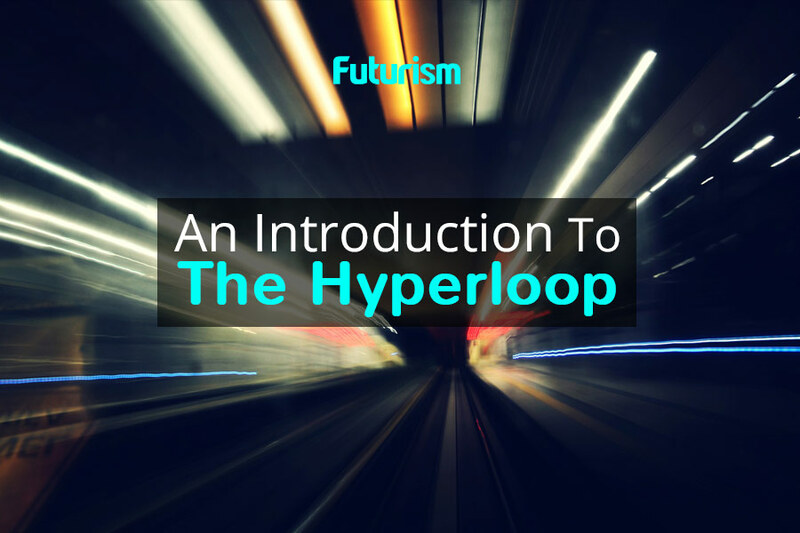 HTT is just one of a growing number of companies working to bring the hyperloop to fruition. Aside from India, HTT also has plans to build hyperloops in Europe, Canada, South Korea, and Dubai. SpaceX CEO and founder Elon Musk, who first raised the possibility of the hyperloop back in 2012, is also building his own version via his Boring Company. Once completed, these projects could dramatically cut down travel times across the globe.